We are still focusing on transportation as our theme this week and today we made a sail boat. 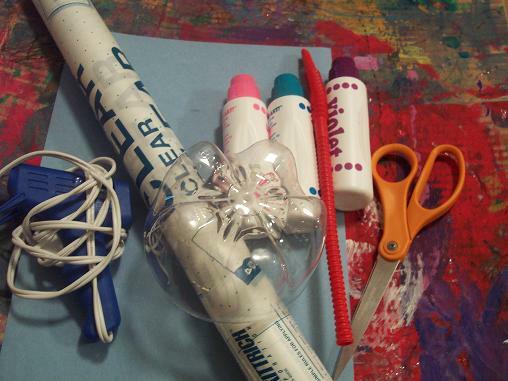 Here’s what you’ll need: construction paper, hot glue gun, clear contact paper, straw, scissors, the bottom of a soda bottle, paint dobbers. 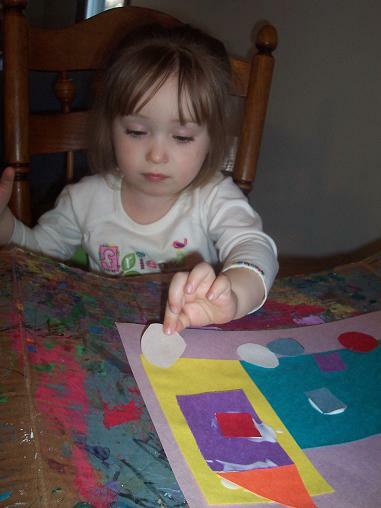 Cut a triangle from the construction paper and decorate it with the paint dobbers. This will be your sail. 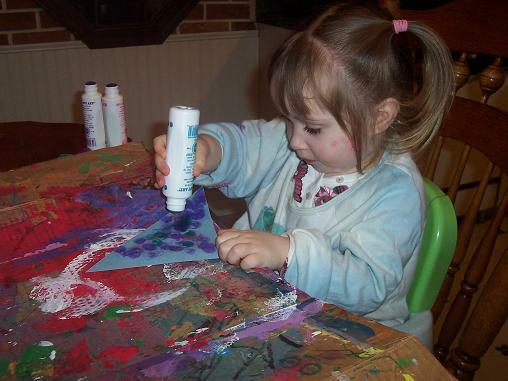 While your child is decorating the sail, you can cut a slit in the straw about 1/3 of the way down. 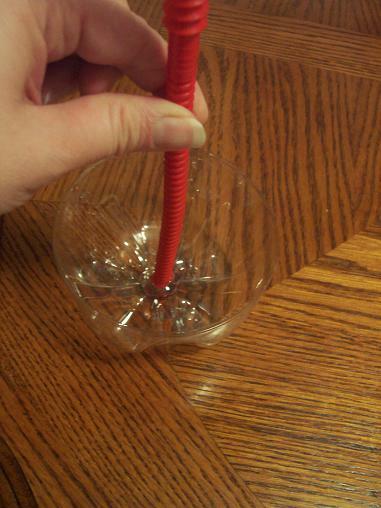 Use the hot glue gun to glue the straw into the bottom of the soda bottle. Glue the non-cut side into the bottle. 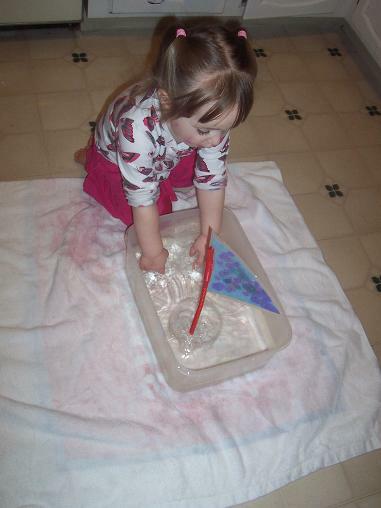 Once your child finishes the sail- cover it with contact paper to keep it from getting ruined when it gets wet. 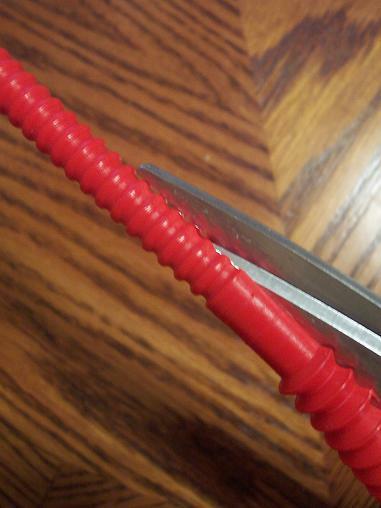 Slide the sail into the slit of the straw. 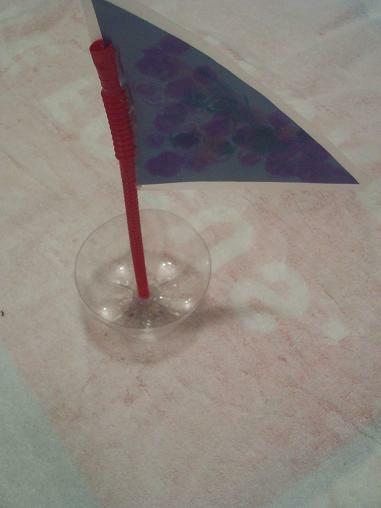 Add a thin line of glue with the hot glue gun to the side of the sail to keep it from falling out of the straw. 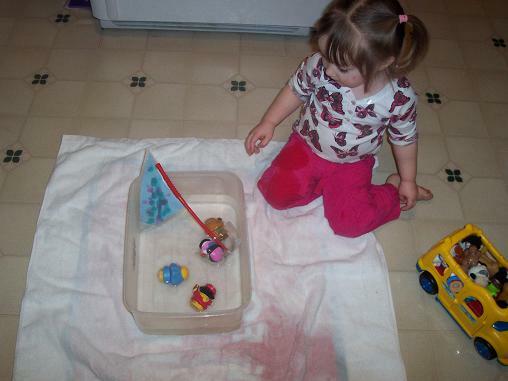 Put your boat in the water and play! Add some people and enjoy your boat. Sorry that we went missing for a few days. If you read Livin’ With Me then you know that we are preparing to put our house up for sale and we have just been really busy. 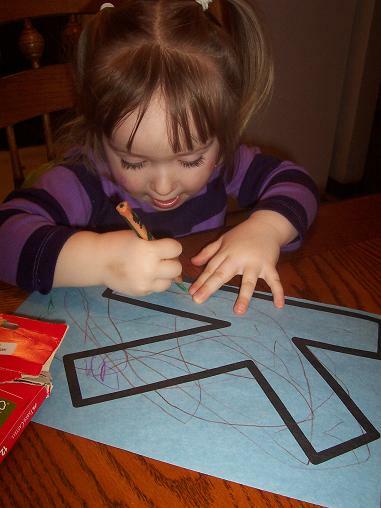 But I really need to work on doing at least a daily craft with Hailey because she needs her routine and loves doing crafts. So, we are back! 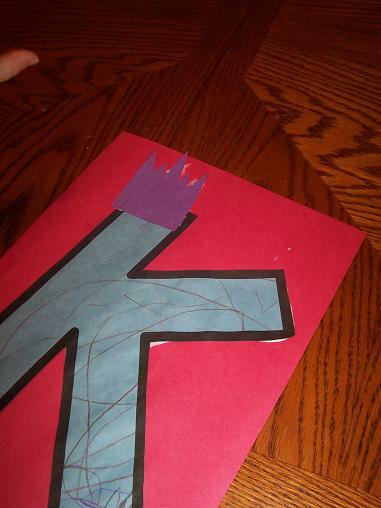 This week we are focusing on the letter K and we made a King K. Like many of our letter of the week art activities, I found this idea at No Time for Flashcards. 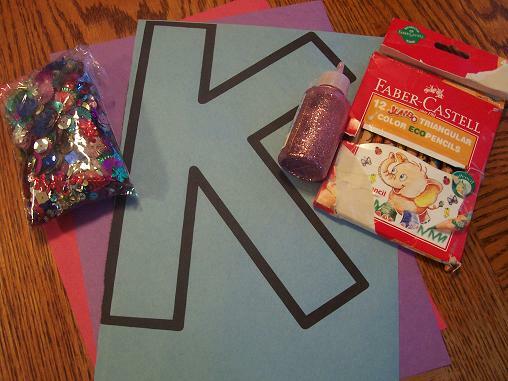 Here’s what you’ll need: a large letter K on construction paper, two other pieces of construction paper, colored pencils, some sequins, glitter and (not pictured) glue. 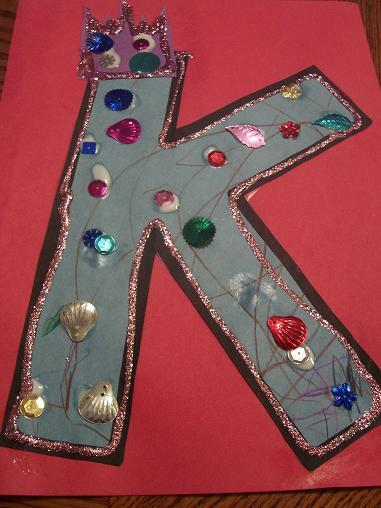 Add a crown to your K.
Decorate your King K. We added sequins and glitter. Our theme this week is transportation and we did a really simple craft today. 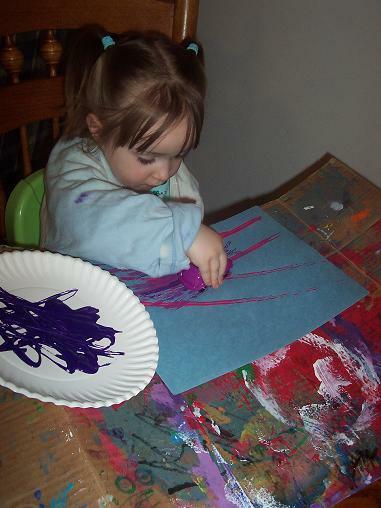 Hailey loves these kinds of activities. 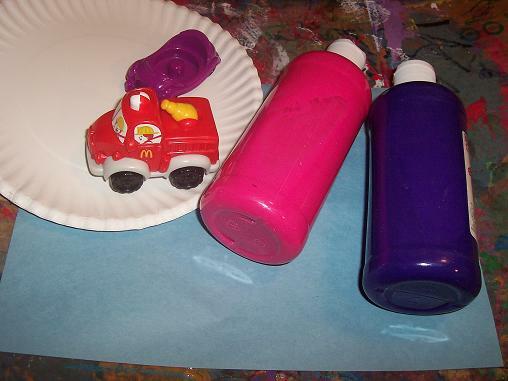 Here’s what you’ll need: paint, paper plates, construction paper and cars (or anything with wheels). 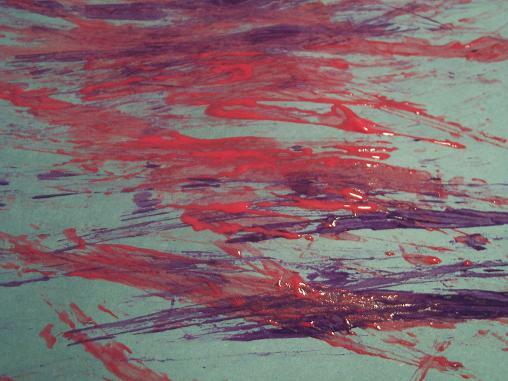 Dip the wheels into the paint and drive the car on your paper. Hailey was thrilled with the result! The finished piece of art. Our theme this week is transportation. 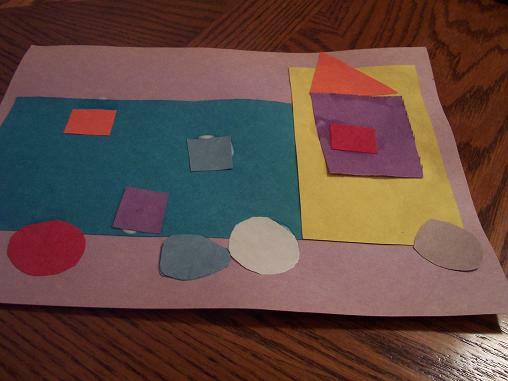 We started out today making a truck using a variety of shapes and colors. 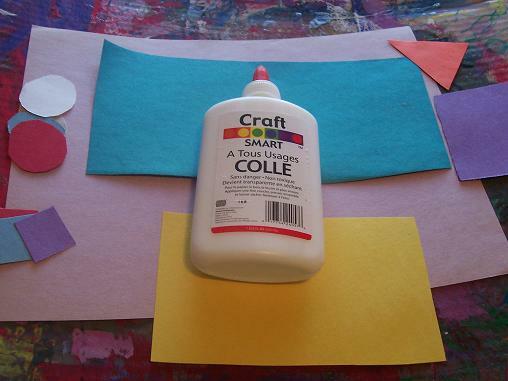 Here’s what you’ll need: construction paper to glue your truck on, a variety of shapes in different colors and glue. 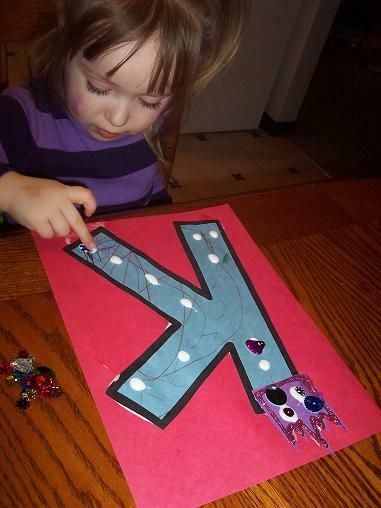 Glue the shapes on to the construction paper to make the truck. Our finished truck. 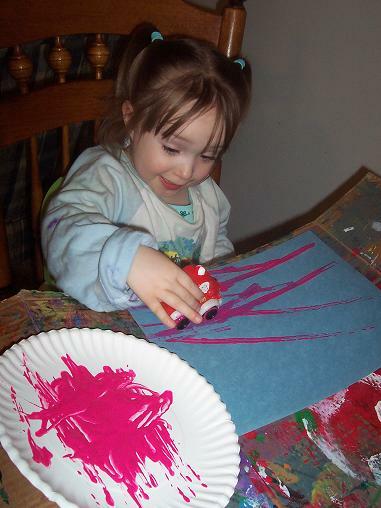 This project is great for reinforcing shapes and colors!